See if Provident makes it into our list of the best car insurance companies. Are there any exclusions with Provident car insurance? How much does Provident car insurance cost? Provident's sole car insurance policy is comprehensive cover. This means it will cover accidents, vandalism, theft, fire and liability. Provident will provide a small courtesy car while yours is being repaired. If your car has a sat nav or any audio equipment, Provident may pay up to £500 to replace this, as long as it was permanently fitted as standard when your car was registered. Provident will provide up to £20m in liability and £250 in personal possessions cover. It can pay out for replacement locks if your keys are lost or stolen up to £1,000. It will also pay up to £50 per person for onward travel or accommodation if you cannot complete a journey due to an accident, although there is a limit of £300. Provident also provides £5,000 of personal accident cover and medical expenses of up to £100 per person. If a window or windscreen is broken and you choose not to use one of Provident's glass repairers, it will limit its payout to £100. You won't lose your no claims bonus or have to pay an excess if you are involved in an accident with an uninsured driver. Provident also offers a number of optional extras, including breakdown cover in partnership with the RAC, replacement car cover for up to 21 days if your car is written off or stolen, and motor legal protection. See how this policy compares to our list of the best car insurance providers. Provident will not insure you if you are over the age of 85. Provident will not pay out for any wear and tear to your car, or for any damage caused by someone close to you, i.e. a member of your family or an employee. It also won't pay out if you use your car in relation to your business unless you have paid an additional premium to have this covered. Make sure you read your policy documents thoroughly so you know exactly what is included in your cover. It can be difficult to estimate the cost of car insurance because a number of factors will affect the price of your premium. This includes the car you drive, how long you have been driving for and where you live. 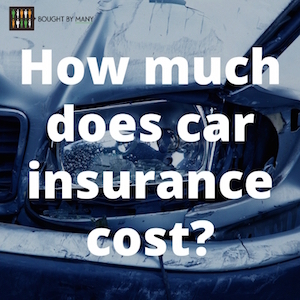 For more information, check out our article on the cost of car insurance. On Reviewcentre.com, Provident car insurance has been given a rating of 1.3 out of 5 based on over 40 reviews. Provident has received a 5 Star rating out of 5 from independent financial reviewer Defaqto. A Star rating indicates where a product sits on the market based on the quality and comprehensiveness of its features. On Fairer Finance, Provident scores 5 out of 5. Provident car insurance has also been awarded the ICS Service Mark for its claims service. This award recognises achievement in providing good customer service. Provident uses an online claims system. First, you select what happened to your car, then the company asks a series of questions to find out more about the incident. After you have submitted your claim, Provident says it will call back within one working day. If you'd rather not claim online, you can call its claims helpline on 03300 240 242. This helpline is available 24 hours a day. Provident's link to claim for glass damage takes you through to Covea Insurance, who deal with Provident's glass damage claims. Covea's lines are also open 24 hours a day. How much does UK car insurance cost?